Although it’s important to be careful about where you paint your nails, sometimes accidents happen. If you ever have the misfortune to get nail polish on wooden furniture, don’t despair. You can safely remove nail polish from wood! Do not dump a bunch of nail polish remover on a wooden surface, as it will eat away at the varnish and cause an even bigger problem. Instead, wet a cotton swab with acetone or polish remover, and then gently blot the area. Be very delicate, and only touch the cotton to the nail polish, avoiding any areas with wood. Stop when most of the nail polish is off, but before you start putting acetone on bare wood. Next, spray the area with a small amount of hair spray over the area with nail polish. Gently rub the area with a cotton ball. Try going with the grain of the wood, which will make any remaining nail polish come off easier. Finally, use a mixture of wood oil soap and water to wash away any last bits of nail polish. The wood oil soap will also leave the wood looking clean and shiny. 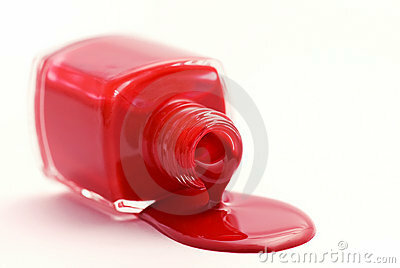 Next time avoid accidents by laying down a newspaper or paper towel over the wooden surface before painting your nails.